Those of us committed to buying from local farmers feel like we’re having a positive impact on our communities. Now it’s a little easier to quantify that impact, thanks to two recent studies — one national, another local. According to an article posted today on www.msnbc (“USDA: ‘Locally grown’ food a $4.8 billion business”), food sold either directly to local consumers or to local groceries, restaurants and other “intermediaries,” garnered $4.8 billion in revenue in 2008. The USDA predicts that local food sales will reach $7 billion this year. That growth apparently represents an increase in both farm-to-institution and direct-to-consumer sales. In the latter area, 136,000 farms now sell directly, vs. 86,000 in the early 1990s. And there are now 5,274 farmers markets, up from 2,756 in 1998. 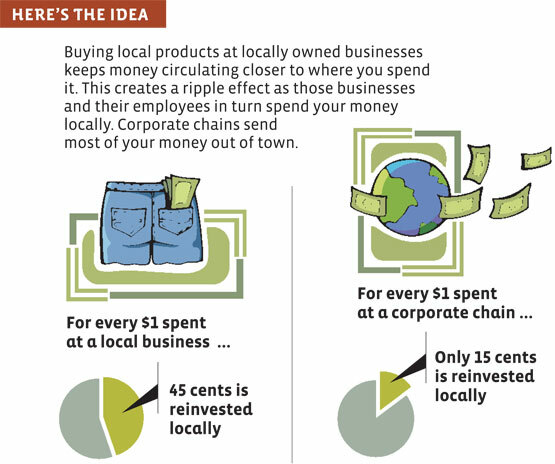 But is all that locavorism really impacting the local economy? Yes it is, according to a recent study conducted by the Hunterdon Land Trust (www.hlta.org). The non-profit, committed to preserving farm land throughout Hunterdon County, runs the Dvoor Farmers Market (see Farm Market list under Links) in Flemington, NJ. In 2010, the Hunterdon Land Trust surveyed shoppers about their spending habits at both the farmers market and nearby businesses. Another nonprofit, Market Umbrella, then analyzed the shopper feedback using a tool called the Sticky Economy Evaluation Devise (SEED), designed to “measure the economic impact of public markets.” A recent Hunterdon Land Trust press release announced the results: $660,000 spent at the Dvoor farmers market lead to another $590,000 in purchases at local businesses and a “downstream benefit” or “local multiplier effect” representing another $1.3 million. That’s a total of about $2.6 million in local economic activity all stemming from folks who like to know the origins of the food they eat.